Even those who once prided themselves on their clear, smooth skin can find themselves struggling with adult acne – and the condition is on the rise. According to a recent article by The Telegraph, a study of private dermatology clinics found a 200% increase in adult patients seeking acne treatment. There are a number of reasons why acne can flare up later in life, often related to fluctuating hormones and changes in skincare products, but stress and poor diet have been pinpointed as principal causes. This has led to a rise in acne treatments that focus on mental wellbeing to address the causes of stress before it starts, known as psychodermatology. Other approaches include analyses of hormonal imbalances and personalised eating plans to cut out things like gluten and starch, or add certain vitamins to the diet. Still other plans may focus on changing the type of skincare products used by patients, as some anti-ageing creams that people start to purchase in their thirties and forties can clog pores. There are also laser treatments which can destroy bacteria and shrink the sebaceous glands, though they can be quite costly. Acne can be treated topically with non-prescription preparations (available as gels, creams and solutions), or with prescription-only topical preparations and tablets such as antibiotics. Prescription acne treatment can only be obtained through doctors, including online physicians. Dr Fox provides a number of prescription topical preparations as well as antibiotics for the treatment of acne. Treatment normally starts with a single component topical preparation (with just one active ingredient) and then moves on to a dual component preparation. Antibiotics can be taken for acne alongside certain topical treatments, but not all, which is why it is important to follow a doctor’s acne treatment plan. It is also important to note that not all acne treatments work for each person, or will not work in the same way. Under a doctor’s advice, patients may need to try several different options before seeing desired results. Wash the affected area no more than twice per day, using lukewarm water and very mild soap or cleanser. Try to resist the urge to squeeze spots, as this can cause further inflammation and also scarring. Use only non-comedogenic makeup (which won’t clog pores) and wash it off completely before bed. Keep hair clean and avoid allowing it to fall across your face. If your skin is dry, use a fragrance-free, water-based emollient as moisturiser. Dr Fox offers a number of emollient creams and lotions. Eat a healthy diet including fruits and vegetables and stay hydrated by drinking plenty of water. Try to recognise stressors in life and avoid them. 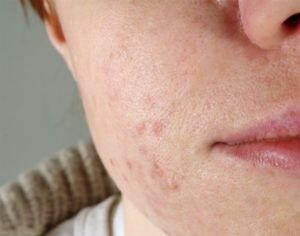 General reduction of stress is recommended in order to avoid adult onset acne. Whilst acne in under 18s can often be attributed to hormonal changes, adult acne may require deeper analysis to determine its cause. Treating it can also be a more comprehensive process, taking into account lifestyle and dietary factors, as well as skincare habits. Posted on August 1, 2016 November 29, 2017 by Dr Tony Steele in Acne.